NO LONGER AT NEW LISBON! The second day of the event is now also at Apocalypse Paintball. NO LONGER AT NEW LISBON PROPERTY! The dues listed above "levels of service" and are for record keeping, management, communications, equipment upkeep, and outside larp services (Such as exp tracking, character updates, time with staff, etc) and are not required to participate in Last Hope LARP. 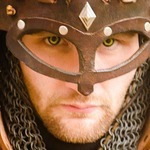 - Pre-Reg/Day Of LARP helper/Spectator Role: Free entry, 0 exp earned per day unless pre-approved, limited equipment/skill/non-combat NPC role entry, must be staff approved. Please contact us ahead of time if you know you are looking to attend as a spectator. This is a great role for helpers and supporters of the larp who are not interested in membership dues/services but want to participate and is also a great option for newcomers looking to see what larp is all about. Click here to pre-register and pay membership dues ahead of time! - There is now camping available onsite. - There are portable toilets onsite and a gas station across the road for bathroom facilities. - No fires are allowed onsite. - There is running hose-water at "the main shack" if absolutely needed. - There is electricity at "the main shack" if absolutely needed. - The main registration area will be at the UPPER PARKING LOT of Apocalypse Paintball. - Players will need to park at the UPPER PARKING LOT; the field will need the closer parking for their own staff and Paintball players. - The paintball field is live and will have players until 5pm, so Last Hope players are NOT to enter the field anywhere unless it is in the specified location we are playing at and with the rest of the group. This means we will be in the back trails of the property for part of the event. - Players are NOT to climb on anything that is not designed to be climbed on; don't scale walls or climb on things that are dangerous. Use walkways, ramps, ladders, etc. - Exact boundaries for the event will be discussed at the game briefing. This event will NOT take place during any night-time conditions. This event is in June, so plan accordingly! We will have loaner garb for NPCs. It will most likely be hot during the day; traditionally late-June events have been very warm. There are dedicated monster roles needed for this event, so please contact us if you are interested in this role. Players MUST contact us and get signed up ahead of time! - The "NPC Sign-Up Deadline" is the same cut-off as the pre-reg/dues deadline (by Thursday, 6/14/18) and this will add you to the list to get a more detailed or involved NPC. This gives us time to flesh out a backstory, details, and how your NPC can impact the scenario. You are also required to pay for dues ahead of time via the pre-reg options AND EMAIL US to let us know what kind of NPC you prefer. The staff will then email you back your detailed NPC role before the event, usually a bit after the pre-reg deadline ends. This also gets you on the list for the provided meal. - The "PC Pre-Reg/Dues Deadline" is the week before the event (by Thursday, 6/14/18) and this will place you on the list to get the pre-reg meal and automatically add you to the "Faster Check-In" line, allowing you to register much quicker at the event. - If you have updates to your PC, DO THEM AHEAD OF TIME AND EMAIL US THE CHANGES!!! The deadline for these changes is the same as the Faster Check-In deadline (6/14/18). You cannot do skill updates and the "Faster Check-In" as we prepare your card/bag/wristband/etc early in preparation of your arrival and day-of PCs can wait until after registration is complete for the majority of the players and then, IF WE HAVE TIME, we can update your PC skills. There is no guarantee we can do this at an event due to the registration time needs. Resource Usage for this event needs to be submitted VIA EMAIL no later than midnight on 6/5/18. Information gained from this Resource usage will be available at Check-In at the event; IT IS YOUR RESPONSIBILITY TO ASK FOR THAT INFO! Players should please try to make sure they are going to be in attendance before sending in their Resource usage. As the war against the dirge swamp is the focus of most of the continent, trouble has been brewing in the primarily human colony of Starkhaven. The Chapter of the Fist, the more zealous and militant chapter of the Order of Arnath, has shocked many by executing a military coup. Moving their forces from their occupation of Serai, the Chapter of the Fist's military forces have seized control of the Keep of the Order and detained the Hand of Arnath. The Hand was scheduled to make a profound decision about the Order and the direction it would go in the future. With the leadership of the Order under lockdown, tensions and worry grip the populace of Starkhaven. The Chapter of the Fist has a long and proud history of decisive action and martial ability. The new Chapter of the Light has been seen making a large impact on the world and softening the hard edges of the Order of Arnath. Will the negotiations between the Hand of Arnath and the Chapters that make up the Church go well and diffuse the situation? Or will hard lines and stoic pride force a martial confrontation between the forces in the colony. The future of Starkhaven rests on the decisions of those involved internally and those who travel and arrive to support one side or the other. In this scenario, players will be involved in tense diplomacy featuring several different elements of the Church of Arnath and Starkhaven. The negotiations early on in the day and the decisions made will set the pace and decide which areas are focused on during the second part of the scenario. All across Mardrun, the clans and colonies have supported the Shield of Mardrun and the efforts are paying off. Defensive positions and outposts, although basic, have been built and give warriors a chance to formulate an actual defense against the swamp. Clan Shattered Spear's resounding success in this effort has proven that when people work together and put aside their differences then the Shield of Mardrun can succeed. However, the situation is not going as well to the east. Clan Whiteoak, the other Clan whose borders make up a significant portion of the Shield of Mardrun, has not had the same focus, supplies, and amount of cooperation as Clan Shattered Spear. Some groups have been helping with their outposts and the war effort but it is not nearly as cohesive or organized as the western front in Clan Shattered Spear. Warpacks run themselves ragged trying to maintain some sort of buffer. Construction crews attempt to build outposts but lack the logistical support and supply lines to do it quickly or well. Clan Whiteoak's former treachery as a clan seems to continue to influence decisions made to assist them by others. This situation, combined with Clan Axhound continuing to "fan the flames" between the two clans to the south have taxed Clan Whiteoak almost completely. However, rumors have been floating around that Pack Redwind, composed of former Whiteoak and Axhound people that have put aside their differences and live together, have become vocal about the Clans trying to work together. A delegation from the Pack is said to be in the area as well, visiting outposts and trying to be a voice of reason among the two clans. Although Clan Whiteoak holds through determination, the situation will not be able to survive much longer. A call for aid has been sent out across the outposts of the Shield of Mardrun; a larger mordok counter attack has pushed into the conquered territory of the Clan. The mordok have driven back or killed the warriors and construction crew of the outpost in the area and push south back into Whiteoak lands. This area of the Shield of Mardrun needs help and quickly. In this scenario, players will respond to a call for aid and attempt to salvage the situation in the area. Clan Whiteoak warriors will be trying to reorganize and push back against the mordok counter attack, and Pack Redwind delegates will be trying to establish some sort of diplomatic negotiations. Due to excessive rain again, the New Lisbon property is still flooded. We have decided to do Day 2 of the event at Apocalypse Paintball in Poynette, WI.